Today I have the pleasure of introducing you to my guest this week, Heather Bock. She and I have become acquainted online as fellow bloggers, writers, educators and women passionate about bible study. A few weeks ago I was her guest on glimpsesofjesus.com. Today we cross paths as teachers with intense admiration and gratitude for our students. I teach on a campus with a diverse student population. I often say, “The world is in my classroom.” Most of my students are juggling school and full-time work responsibilities while paying their own tuition bills. Many speak English as their second (or third) language. 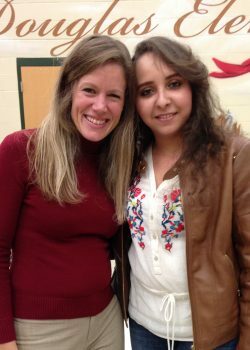 Heather teaches English as a second language to her students who sacrifice in many of the ways mine do. Both of us are challenged by students who illustrate biblical principles without even knowing. Enjoy reading about how Heather’s students illustrate a level of generosity freely lavished beyond ability. I teach three nights a week at a literacy council where adult students can come and take free English as a Second Language classes. I teach a class of 20 students originally from Mexico, hard-working students, many of whom work at physically demanding jobs during the day. They get off from work, maybe grab a snack, then head to my class, which doesn’t let out until 7:45 pm, when they can finally go home and get some real dinner. You’d think they’d be tired, finally sitting down after a long day. You’d think they’d be dozing off. Maybe they are tired, but they don’t show it. They listen and repeat, laughing, as I explain the difference between the phonograms “ai” and “ay.” They practice English conversations with each other about family relationships and grocery shopping. They manipulate sentences as they write, trying to remember whether to put the adverb of frequency before or after the verb and whether to put an “s” at the end of that verb or not. I circle the room, and they ask me question after question, having me check their work, making sure they’ve understood, that they’ve gotten it just right. I am so inspired by these people. A few days after my birthday last October, I came to class to find some suspicious activity. Students had expectant, mischievous looks on their faces. Others walked right past my room before coming to class, holding items that didn’t belong in a classroom. Five minutes into my lesson, one stood and announced we were all going to the cafeteria. I let them lead me there, where I found a full Mexican potluck meal topped off with a tres leches cake. In front of it all was a large pile of presents filled with clothing, candy, jewelry, and other goodies. When we had eaten our fill, and it was time to go home, they helped me carry it all to my car, where they filled my trunk with all the leftover food and drinks. Christmas came around. 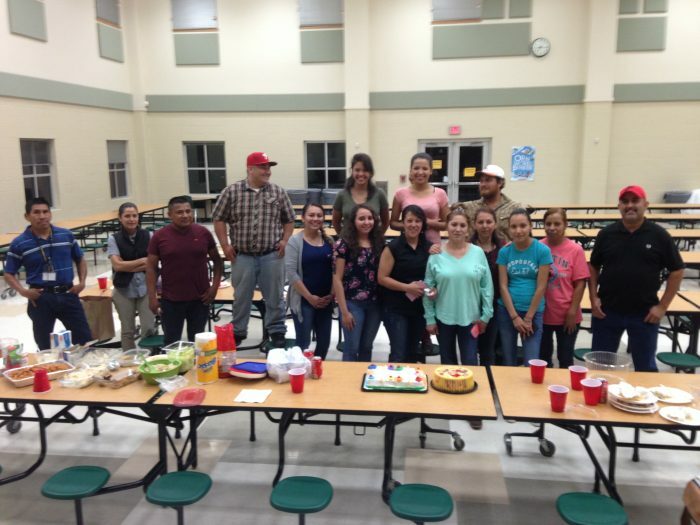 All the ESL students were to have a Christmas party and once again bring food, but the students were supposed to go to their classes for a few minutes first. I had prepared small packets of homemade fudge for each of them. 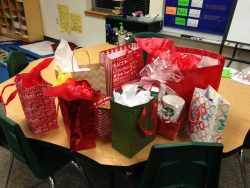 One by one, students came in carrying Christmas bags for me, filled with chocolate, lotions, soap, mugs, coffee, clothing, and even a food chopper. In comparison, my little fudge offering looked pretty pathetic. Valentine’s Day. Surely, they’ve given me enough, I thought. They won’t go all out this time. Oh yes, they did. They gave me a chocolate rose, a mug filled with candy, a shirt, a necklace, earrings, a bracelet, and lots more chocolate. They know I like chocolate. Once again, the little presents I had brought looked very meager: I had a mini cupcake for each of them. What in the world? These students work hard for their money all day, and they work hard for me three nights a week. They don’t have time to be making homemade chicken enchiladas in addition to going shopping for me. Generosity. I might be the teacher for these students, but it is they who are teaching me. Paul said of the Macedonians what he could have said about my students, “For I testify that according to their ability, and beyond their ability, they gave of their own accord” (II Cor. 8:3). What does the Bible teach us about generosity? Generosity is required (I Tim. 6:18). God rewards generosity (Prov. 11:25, 22:9, Matt. 6:2-4). Generosity should be present even by those in deep poverty (II Cor. 8:2). Generosity shouldn’t be done for the sake of admiration from others (Matt. 6:2-4). Generosity should be decided upon in the giver’s heart, not out of duty, but freely given out of an overflow of the joy in the heart (II Cor. 8:2, 9:7). May we regularly examine all that God has lavished on us and lavish on others in return. Have you been inspired by other people’s gifts? Have you been moved to mimic your Father in His generosity? If so, comment below–I would love to hear your stories! Picture Explanation: Heather sent pictures of the generosity displayed toward her on Valentine’s Day. 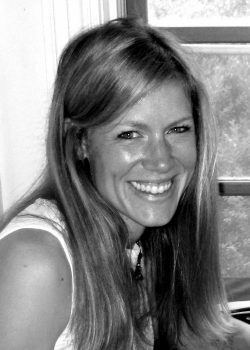 After growing up in California, attending college in Seattle, Washington, and living ten years in East Tennessee, Heather Bock is a new resident of East Texas. She has three kids that she homeschools, and she loves studying God’s Word, looking for new jewels each time. She’s written a Bible study called Glimpses of Jesus in Genesis filled with some of the riches God has helped her find. You can find more of her posts at www.glimpsesofjesus.com. Jewl, they really are wonderful! Since I wrote this post, my class with a few other classes pulled together $500 to send to the family of a student in our class who died in a car crash. They took something tragic and tried to help where they could. I love this! Some of my most destitute clients are the most generous people I know. It is always humbling and a powerful reminder of how stingy I can be sometimes! Thank you for sharing and I love your verses about generosity! Thanks Hilary. Checked out your website. Good work! Good message! Hilary, It’s just like the Macedonians! Thank you for your kind words! This made me cry. Generosity is love in action. Your students love you, Heather. 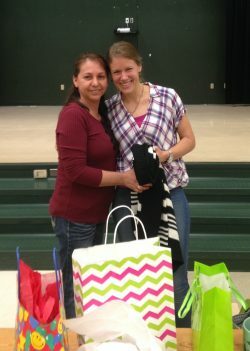 Andrea, Generosity really is love in action–great words! They may love me, but I can definitely say I love them! So Beautiful Heather! It is so amazing to me how many times I go to “serve” somewhere and end up blessed beyond imagination. And even many more times, it is crazy how we can forget the love and blessings God lavishes upon us! Definitely. Every time I have served in ministry, I’ve been richly blessed. And if I could just remember the generosity of God, I would remember to be generous more often! I loved reading about your students, Heather. They were extremely generous and sweet. I taught ESL for years, and my students were some of the sweetest people I’ve ever met! Thank you for sharing about their hearts of love and joy. I didn’t know you taught ESL, Katy! I’m glad to share about my students–they deserve it! YOU inspire me as I read your post! Wow! What a fulfilling way to spend your time and gifts. I was challenged, encouraged, and convicted to examine my heart when I give and to be more intentional about being generous with what God has given to me. Thank you! 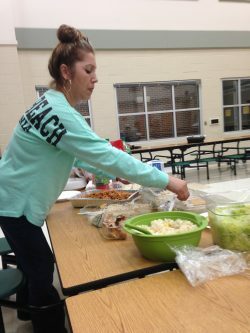 Jennifer, I love serving my students, but don’t be too impressed with me–I get paid for my job! My students don’t get paid to be as generous as they are. 🙂 I’m so glad you were inspired to be more intentional about your generosity, though. Their example is doing that to me, too! Wow! I have found those who I teach actually end up teaching me! Thank you for the reminder of generosity! Yes, it’s amazing when the roles are flipped! I love it when God does that.